08:30 You will be picked up from your hotel for Full day tour of Pamukkale & Hierapolis. 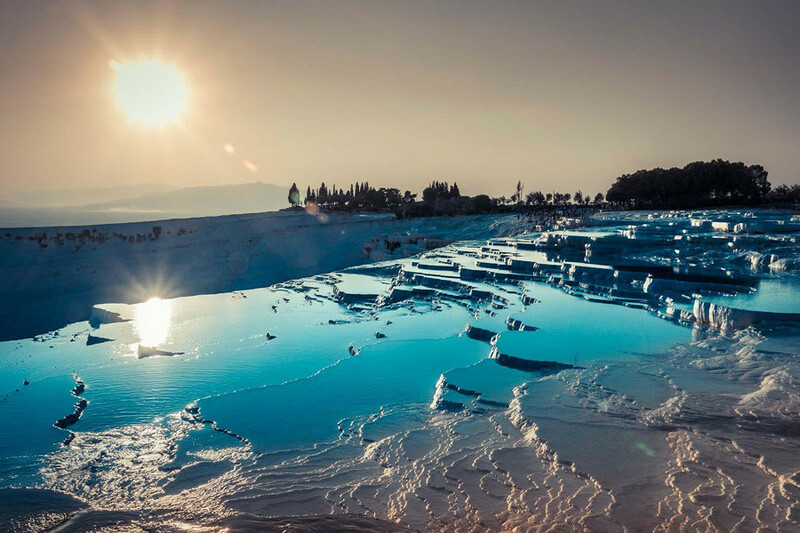 In Pamukkale , you will see the Cotton Cliffs, one of the natural wonders of the world formed by deposits of calcareous salts. 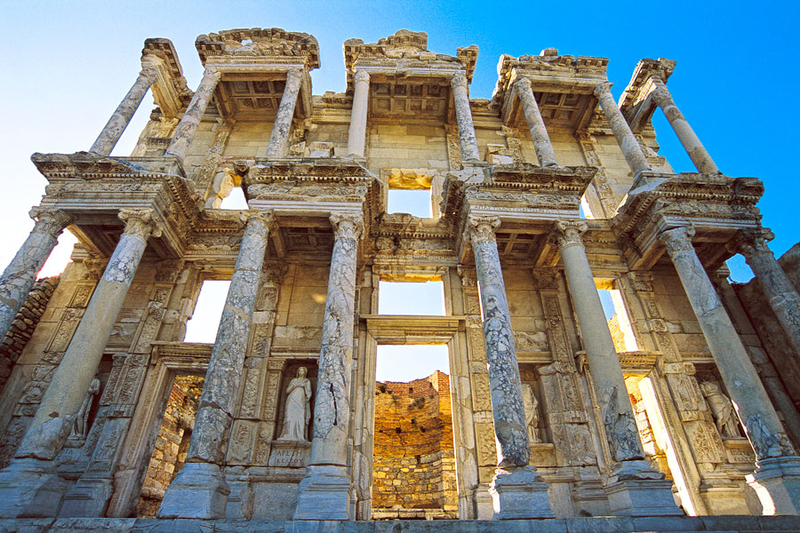 Also visit the ancient ruins of the City of Hierapolis with its basilica , theatre and Roman Baths. 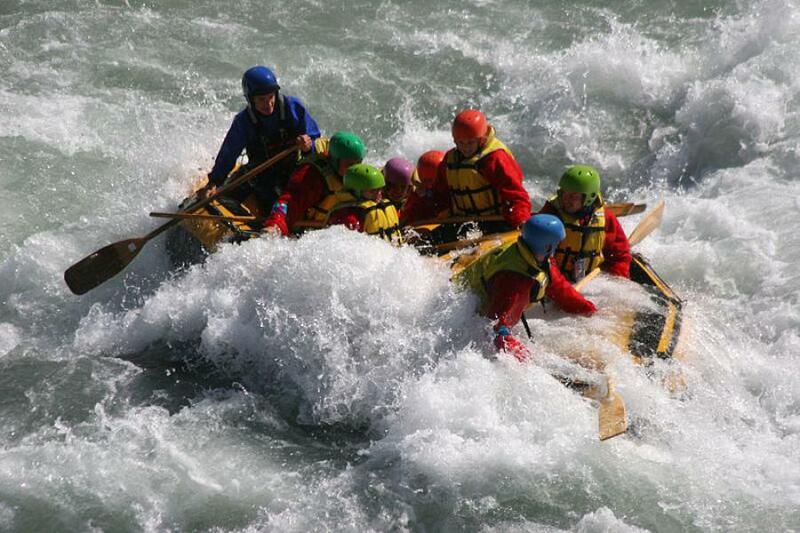 At the end of the day, we will drive to your hotel in Kusadasi for dinner and overnight stay in Kusadasi. 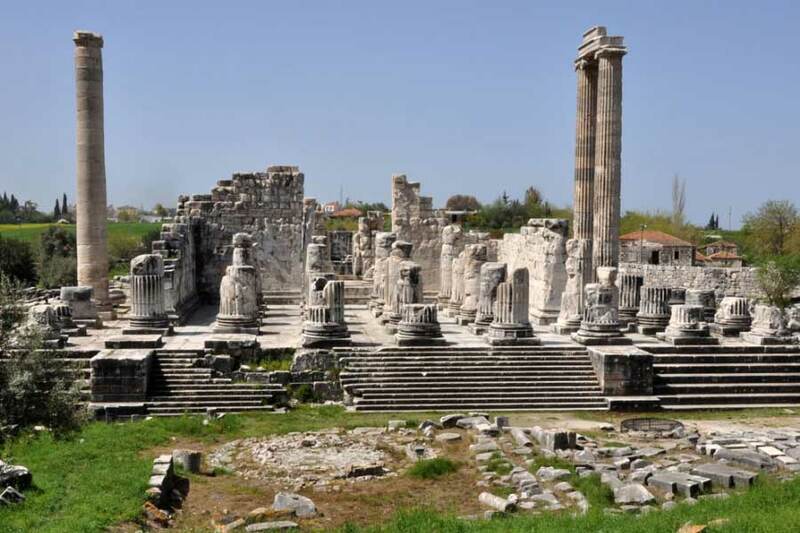 Today visit Miletus, one of the oldest cities of Ionia, and the ancient cities of Priene and Didyma. First you will see Priene which in its time was one of the most spectacular of all the ancient Ionians cities. Then we will lead our way to Miletus to see Miletus with its magnificent theatre and the Byzantine fortress on the acropolis above. Our last stop will be Didyma. Here you will find the largest Ionic Temple in the world, that of Apollo. 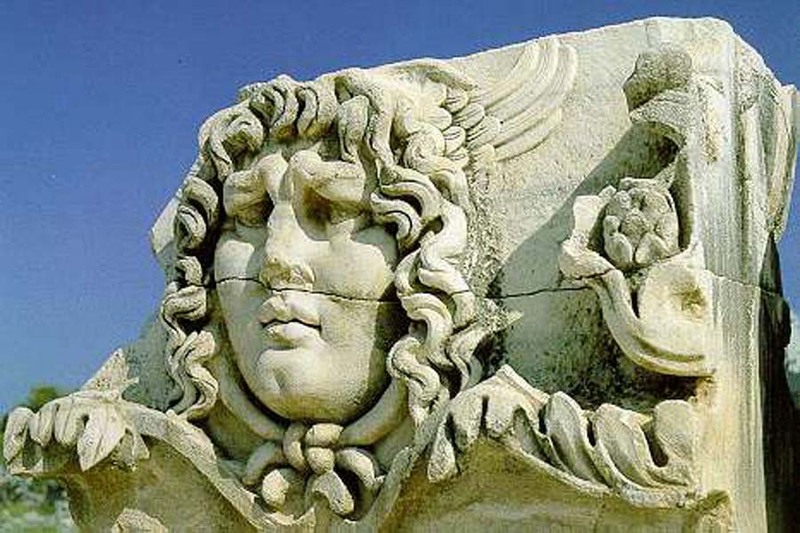 Also in Didyma lies the huge, cracked head of Medusa which long ago fell from the freeze. 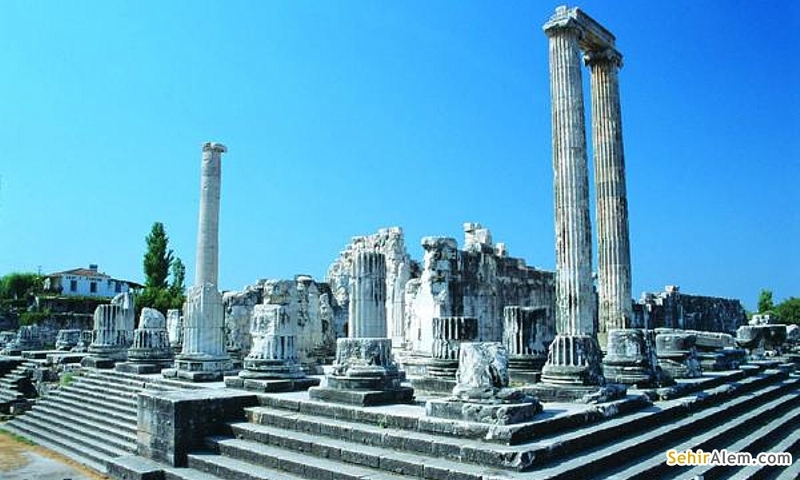 - 1 Full Day Tour of Didim, Priene and Miletus with lunch.